The struggling retailer announced Monday that it had formed a "special committee" to explore the sale of its in-house appliance brand. The move comes less than a month after Sears CEO Eddie Lampert wrote a letter to the board urging it to sell the brand. He offered to buy it himself if necessary, along with other assets. There is a good chance that Lampert will be the one buying Kenmore. Through his hedge fund, ESL Investments, Lampert owns a majority of shares in Sears Holding, the company that owns the Sears and Kmart chains. 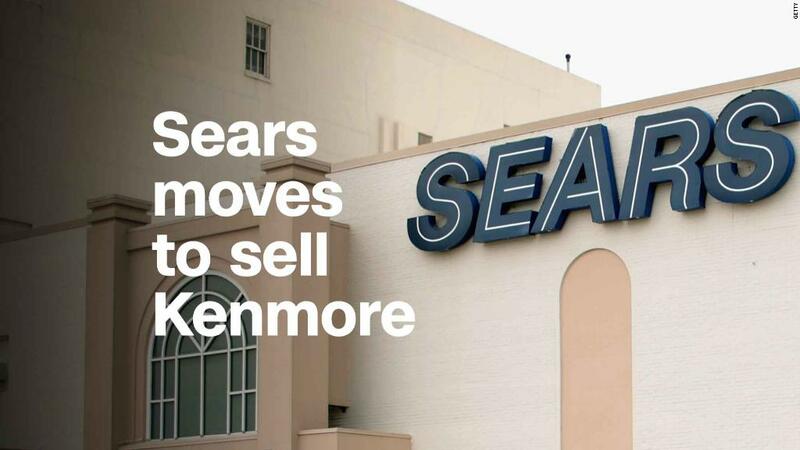 Sears has been exploring a possible sale of Kenmore and other assets for a number of years but never found a buyer. But this week it escalated its efforts by forming the "special committee," retaining counsel and bringing on an investment bank. The announcement was enough to briefly lift Sears (SHLD) shares 19% in early trading Monday, before they retreated to more modest gains of about 6%. Shares are still near historic lows. The retailer has admitted "substantial doubts" exist that it will be able to remain in business. Lampert has insisted that the company is on a path to return to profitability. But it is in need of cash and has been closing stores, cutting costs and getting creditors to agree to a longer repayment schedule on its debt. Because of that delayed repayment schedule, Sears was judged to be in default of some of its loans earlier this year. In early 2017 Sears sold its Craftsman tool brand to Stanley Black & Decker (SWJ) in a deal valued at $900 million. The Craftsman tools went on sale at rival Lowe's (LOW) for the first time Monday. The board says it is looking at selling other assets, including its parts business and home services businesses, both of which Lampert has expressed interest in buying.